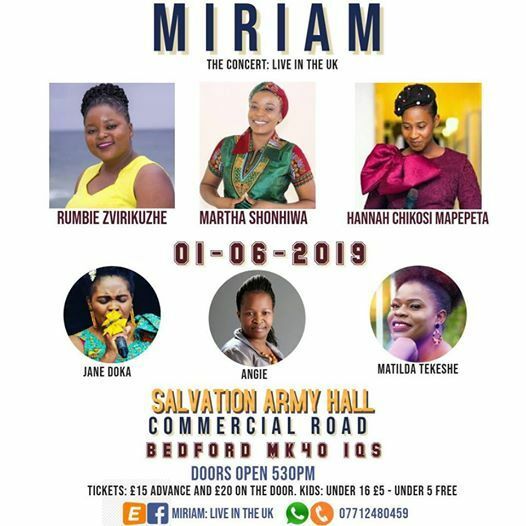 MIRIAM, is an uplifting night of gospel music with the amazing RUMBI ZVIRIKUZHE,HANNAH CHIKOSI MAPEPETA and MARTHA SHONHIWA. Coming all the way from Zimbabwe and South Africa, the SONGBIRDS will be performing their hit songs and praising God in concert backed by a full live band. These ladies are amongst the top Gospel musicians to ever come out of Zimbabwe. 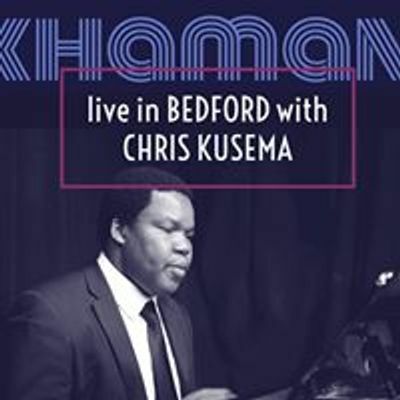 They have enjoyed enormous success on the Gospel music scene both in Zimbabwe and internationally and will be embarking on a one night only Gospel music show in BEDFORD. With hits like Watigonera and Uya mweya mutsvene, this explosive show is designed to get you dancing whilst being blessed in song in the presence of God. The UK will be represented by, JANE DOKA, ANGIE AND MATILDA TEKESHE. This event promises to be the gospel music show of the year and should not be missed. Refreshments and goodies will be sold on the night.